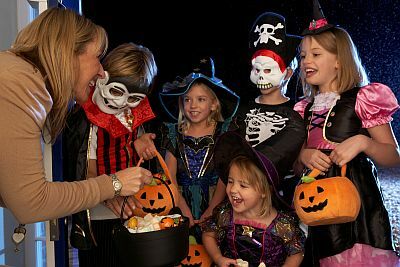 Are your communications with customers (and potential customers) loaded with tricks–or treats? Vagueness. Get to the point and tell them clearly what you want them to know. Don’t make them work too hard reading between the lines to figure out what you mean. Obstacles. Don’t make it hard for them to do what you want them to do. Make it easy for them to contact you and easy to order. Be accessible through the Web, phone, etc. Accept multiple forms of payment, including credit cards. Helpful information. Show your expertise and help your customers benefit by providing information that helps them make better decisions, and makes their lives better. Clear benefits. Explain in clear language exactly what you do for customers. Use benefit language. Don’t say you have a great diet plan, say that you can help them lose that stubborn 10 pounds without exercise (if that is true). Call to action. Let customers know what they should do in response to your marketing. Should they call, visit your web site, come to your store, mail an order . . .? Tell them what they need to do to get the benefits you offer. Something extra. Give customers a little more than they expect. Faster service, a bonus item with the item they ordered, or a personal thank you will increase customer satisfaction and loyalty. Have a happy Halloween, and keep treating your customers!